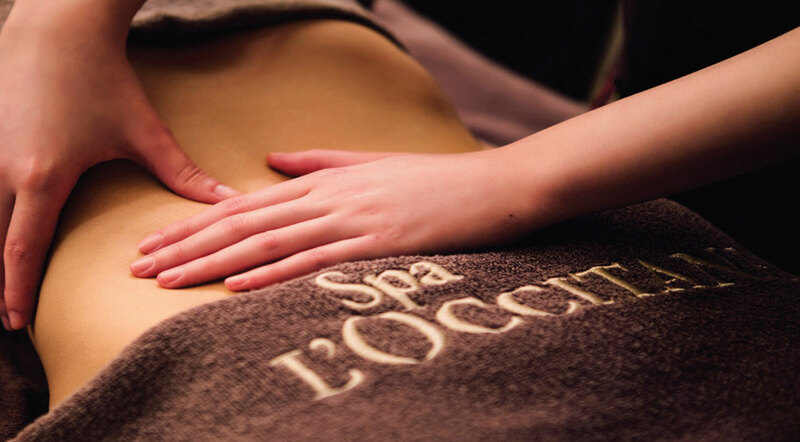 Enjoy one exclusive 90-minute Provençal Detoxifying Retreat Massage at Spa L'OCCITANE. This exclusive treatment set brings together the Almond Firming Paste Scrub and the Almond Detoxifying Balance body massage for an ultimate Spa experience! The Almond Firming Paste Scrub features a delicious texture, enriched with Almond extracts, to eliminate dead cells and leave skin smooth and perfectly prepared for the following body treatment. Inspired by lymphatic drainage massage techniques, the Almond Detoxifying Balance boosts circulation and promotes elimination of toxins & excess water. The skin feels nourished, supple, firmer and smoother thanks to the Almond supple skin oil, rich in omega 6, 3 and camelina oil. As a result, your body feels lighter & invigorated and your mind totally relaxed. Learn more about Spa L'OCCITANE and other treatments. Discovery package limited to one per customer. Reminder: L'OCCITANE Provençal Detoxifying Retreat Massage must be redeemed at Spa L'OCCITANE. Kindly pick up your redemption coupon upon your next visit to Velocity Studio. Thank you. The spa treatment /service redemption at Spa L’Occitane is limited to weekdays only.